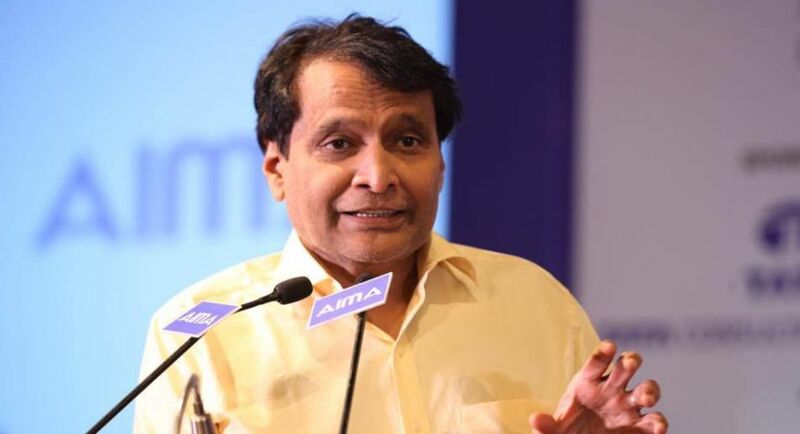 Railway Minister Suresh Prabhu on Tuesday flagged off a new rail line beyond Agartala — up to the southern temple city of Udaipur. Prabhu inaugurated the service through video-conference from New Delhi. Tripura PWD and Health Minister Badal Choudhury, Transport Minister Manik Dey and others were at the inaugural at the Agartala station. Northeast Frontier Railway (NFR) Chief Engineer Harpal Singh said the 44.76-km rail line up to Udaipur (Gomati district) is part of the Agartala-Sabroom (114 km) new broad gauge line project. "The anticipated cost of the Agartala-Sabroom project is Rs 3,351 crore and it will be completed by March 2019," Singh said. There are three crossing stations – Bishalgarh, Bishramganj and Udaipur – and one halt station at Skerkote on the Agartala-Udaipur railway line. There are 58 road crossings and 87 major and minor bridges across the new line. Sabroom is to be connected by rail to secure access to the Chittagong port in Bangladesh. Sabroom is the last border town of Tripura along the Bangladesh border and the sea port is just 75 km away. "After extending the railway line to Sabroom, Tripura and the entire northeast India would be linked with Southeast Asia very easily," Chief Minister Manik Sarkar said. National Highway-8, the lifeline of Tripura, has already been extended up to Sabroom, 135 km south of Agartala. "We completed laying railway tracks up to Udaipur before the March 2017 schedule," the NFR Chief Engineer said. In October 2008, with the extension of the erstwhile metre gauge track up to Agartala, Tripura was put on India's rail map. Subsequently, the metre gauge was converted into broad gauge. Meanwhile, the railways have undertaken work to lay a 15-km track to link Agartala with Bangladesh's Akhaura railway station adjoining Tripura.